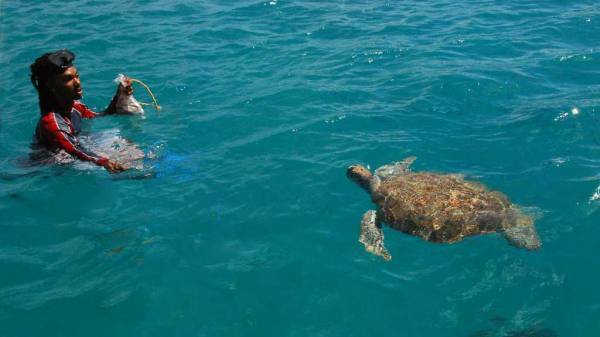 Our Barbados Turtle Snorkel was organized by Princess Cruises using Tiami Excursions. This was an excellent tour. The tour starts with a 5 minute bus ride to their catamaran. The catamaran goes very slowly from the harbor in order to lengthen the tour. It’s only a couple of miles to the turtle snorkel site. Once we reached the snorkel site, I saw a turtle immediately. The water was about 15 feet deep and fairly murky. 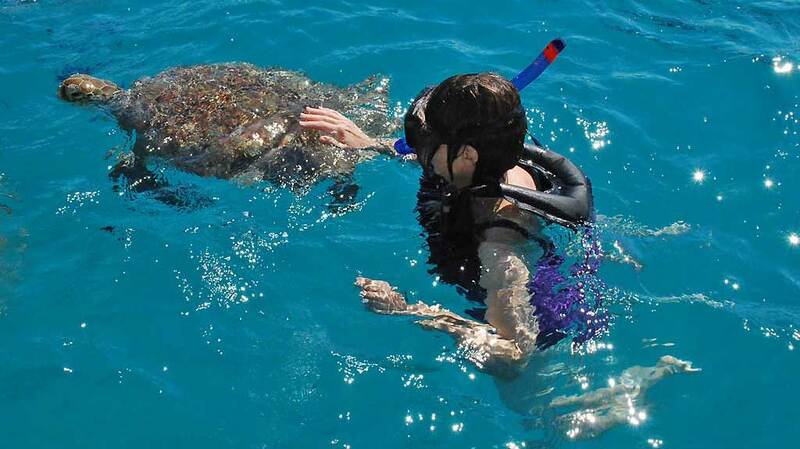 The guides fed fish to the turtles, so they come very close. Everyone gets a good view. There were 6 turtles that glided through the tangle of tourists to reach the fish. I was even bumped into by turtles. I also got to touch their backs. It was chaotic and great fun. When the turtle encounter was over, the no charge bar was open. A number of variations using Mount Gay Rum were available, as well as soft drinks and cold beer. Our tour members weren’t shy about drinking. 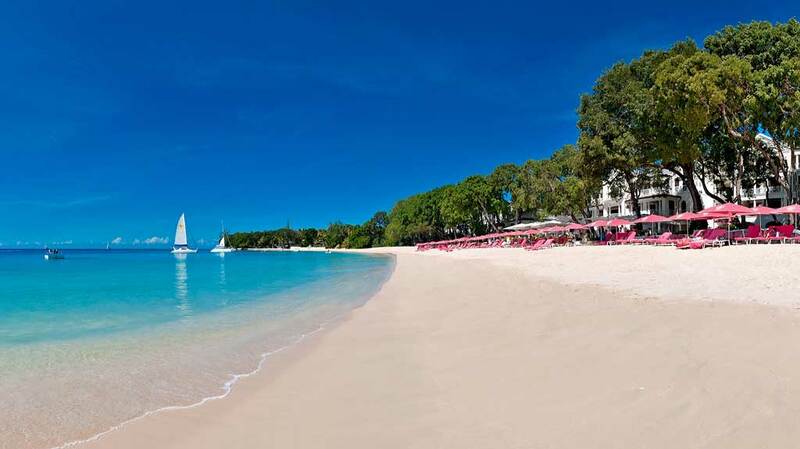 Next we pulled up at a beach beside the Sandy Lane, an exclusive beachfront hotel where Tiger Woods got married. Lodging there starts at $2,500 a night. The beaches are all public in Barbados, which means you can walk right beside the hotel lounge chair. Strange for hotel guests to share the beach with a boat full of tourists wandering the beach with plastic cups filled with rum. Meanwhile reggae music was blasting from our catamaran. The beach was lovely. On the way back to the harbor, watching the continual flow of liquor was interesting if not baffling. I’m sure some people had around 10 drinks a piece. When they were docking the boat at the end of the tour, people were still ordering rum and fruit punch. My only criticism of the Princess tour is the number of people. It’s difficult to experience the turtles when there are 60 – 80 people all trying to get a view at the same time. I’d recommend a smaller group tour, such as that offered by Cool Runnings.